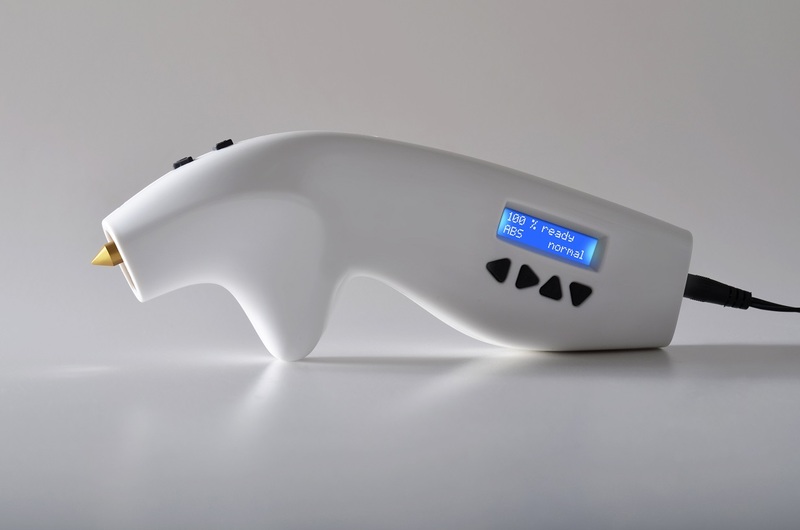 3Dsimo is the new generation of 3D pen that is able to adapt flexibly to a rapidly developing market with a variety of materials for 3D printing thus giving the space to your creativity. Create models glowing in the dark or models changing color when the temperature changes. Draw into the air! Do not get limited by the 2D space. Cultivate your creativity. 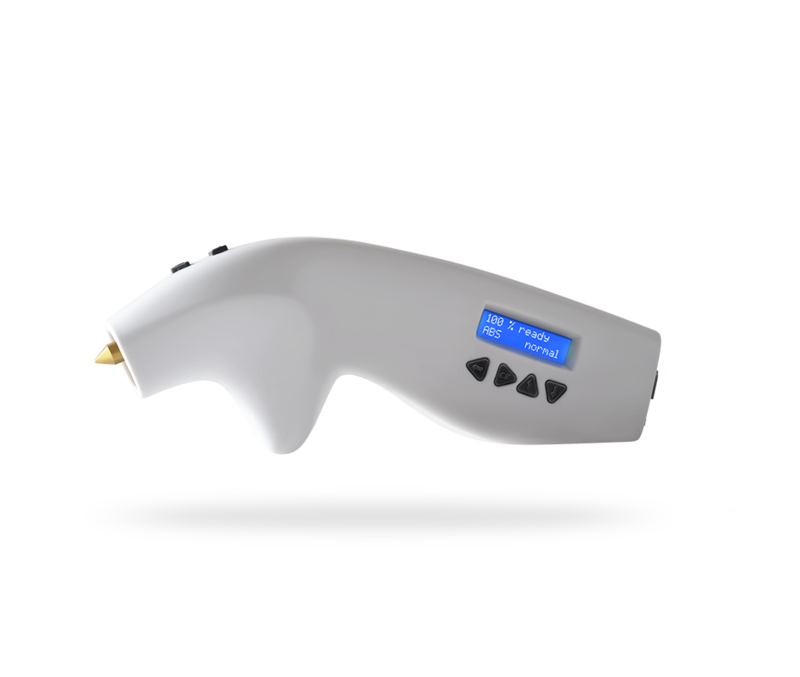 3Dsimo as the first one in the world gives the user the option of choosing printing parameters clearly displayed on a digital display with an option of preset material profiles. The option of temperature choice and the rate of passage of material currently brings unprecedented possibilities for your creativity. We can process a variety of materials such as ABS, PLA, WOOD, HIPS, LAYbrick, Bendlay, Flexi etc. 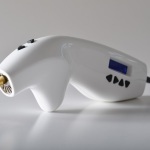 at various temperatures in order to achieve fast filling or even printing into the air. Other options include backlight and the choice of a language. 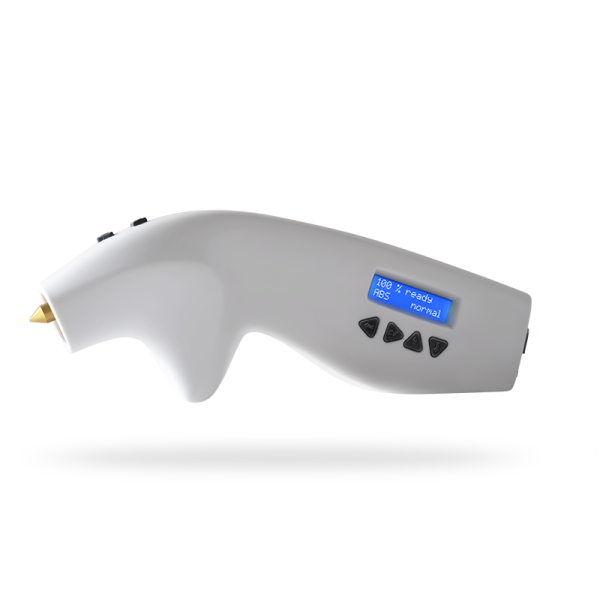 The specified parameters serve the user to set the appropriate drawing methods. Do not get limited by the choice of material; you can for example, choose between golden, silver, wood or flexible PLA. 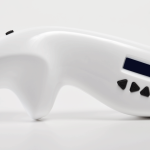 Over time, due to the growing trend of 3D printing more new materials will appear and our 3Dsimo is fully prepared for this because of all parameters adjustability and the thermal feedback for determining the precise temperature. 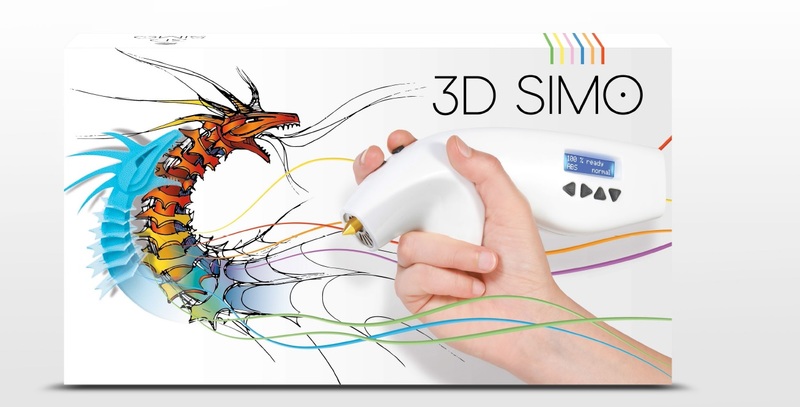 If you’ve ever been in the past drawing with the pencil it will not be a problem for you to work with 3Dsimo. After plugging it in 3Dsimo will welcome you and switch to the basic menu where you will find under the number 4 choice of languages ​​and under the number 1 the operating mode, in which you can choose a rate and the preset material profile. 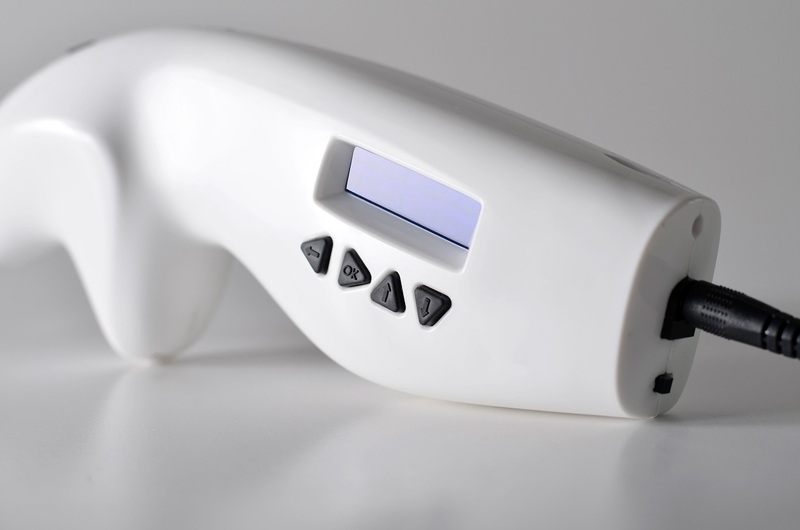 3Dsimo is based on the principle of FDM technology of plastics material extrusion through the hot end. If you want to print into the air or create a filling of an object with preset profiles you will be able to do that easily and quickly. 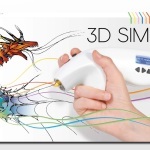 After a moment of use you will find out that you can create fantastic objects with 3Dsimo. 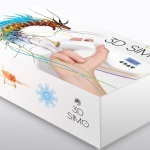 What can be 3dsimo used for? 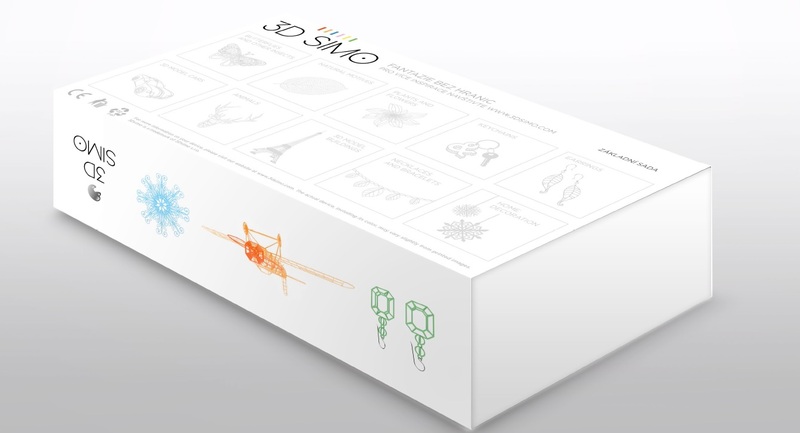 With normal pencil drawing one keeps improving him/herself and inventing new variants of drawings; the same goes for our 3Dsimo, with which you can all the time invent new ways of creating 3D objects. For more examples of implementation see our gallery. What material can I use? 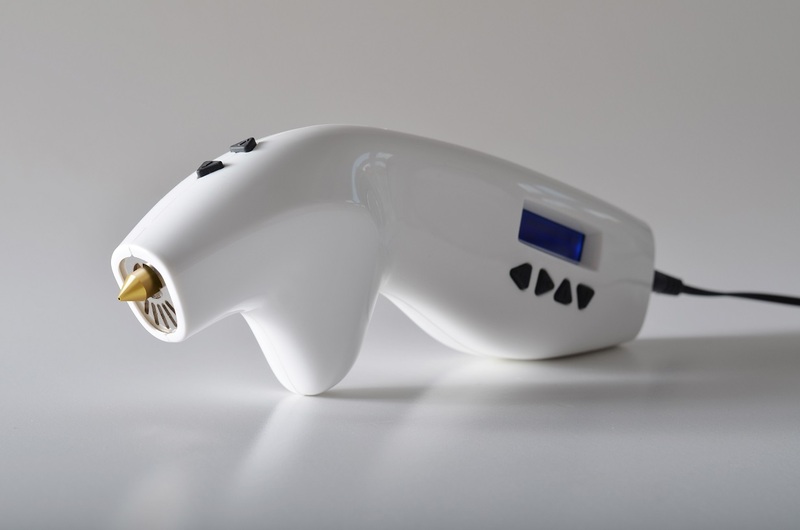 3Dsimo is the only facility of its kind, in which you can use different kinds of materials, such as ABS (material used for conventional kit), PLA (eco-friendly material made ​​primarily from corn starch), PVA, which is soluble in water, and last but not least, nylon. The material is used in the form of fibers of a width of 1.75 mm. You can choose a suitable temperature and velocity of the material, giving you more options for the use of the material. 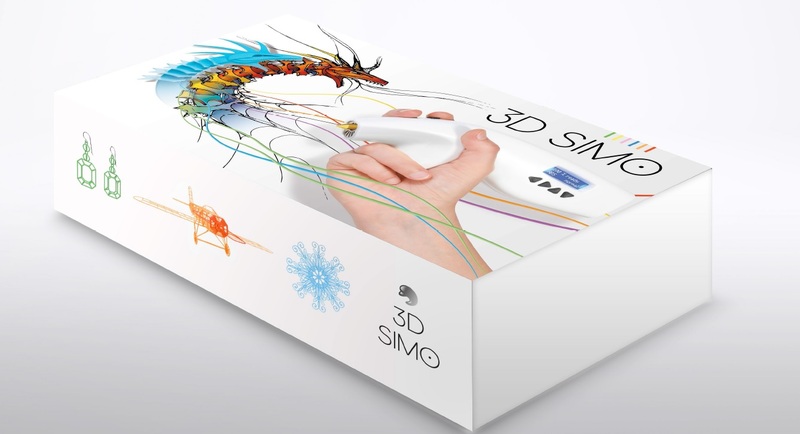 The 3Dsimo full set includes 3Dsimo amazing pen, a power supply unit, user manual and 15 meters of various materials in strings of the length of 2.5 meter each. Where do we get that material once we ran out of it? All materials you will see in the “Material” section are available with our partners in packages of several meters each and in various color options. There should be no problem with the material availability but if there is any just let us know. Is it toxic or safe for kids to craft?I mean will it be hot while using or washable when applied on skin or clothes? Materials such as ABS, PLA, PVA, Nylon and others are not dangerous or toxic. You can find these materials in common children’s models / play bricks, foodstuffs or textiles. The material is hot for a very limited time and therefore care should be taken not to touch the material when applied until it is dry. We recommend you do not apply it to your body, but for example application on textile, glass or even paper is fine. What is the battery life of this device and can we get more information about how this works? 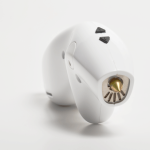 Our device does not use a battery, it is supplied with a power supply unit. In the gallery you can ﬁnd a video previewing all the parameters you can setup. 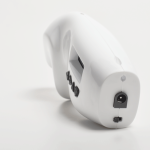 3Dsimo is based on the principle of FDM technology thus extruding plastic string through the hot end. You can choose a temperature, which differs for each kind of material or use. It is up to you how thick layer of the material you decide to use. A few minutes practicing changing the speed and temperature and you will be able to bring your ideas to life.